Our commitment is not only evident in the number of hours our attorneys dedicate to serving others, but in the quality of the legal services they provide. 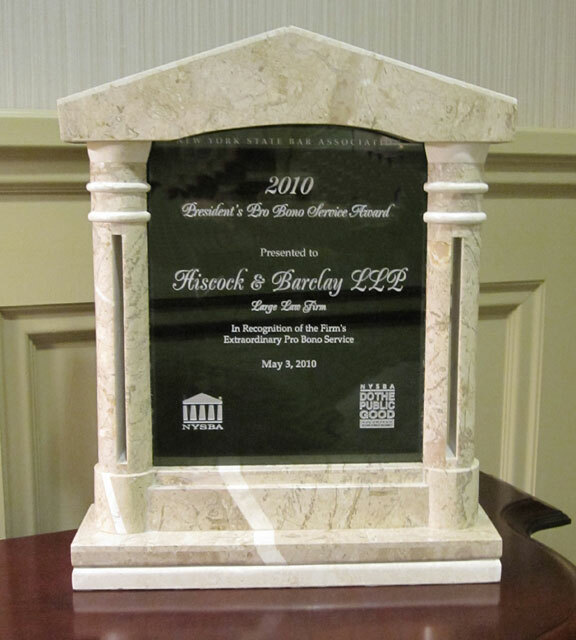 In 2010, the New York State Bar Association awarded Barclay Damon the 2010 President’s Pro Bono Service Award, making it the first Upstate New York law firm to receive the distinction in the large law firm category. NYSBA annually bestows the President’s Pro Bono Service Award on those firms and individuals who have rendered extraordinary pro bono service.